Please note due to a landslide the full circuit of the Valley of the Waterfalls is not currently open, whilst National Parks repair the track. Our guides are able to take you on a section of this walk or alternatively take you on the spectacular Grand Canyon walk which also features stunning waterfalls and escarpments. You can discuss with your guide on the drive to choose your preference bassed on your fitness levels. 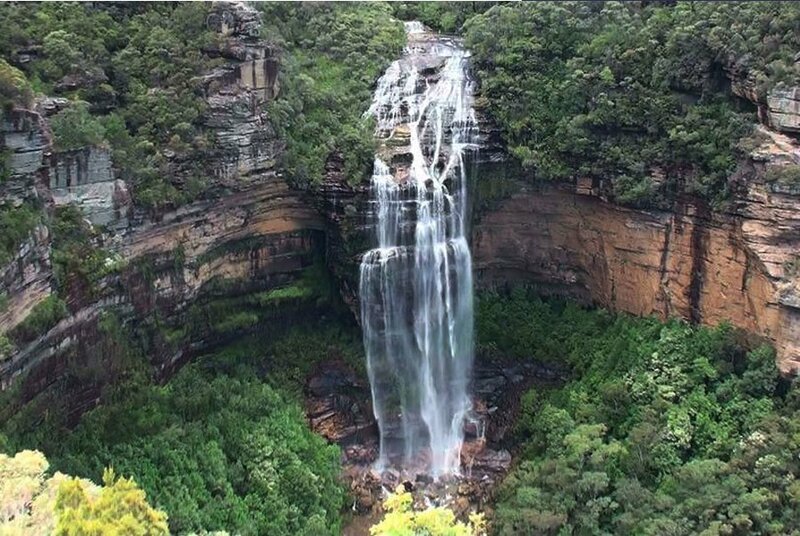 This Private Walking Tour in Valley of the Waterfalls is one of the most beautiful hikes /walks that the Blue Mountains has to offer. Descend into a valley of magnificent waterfalls through a stunning rainforest gorge. Explore ferny grottos, swimming holes and see a series of cascades including beautiful Empress Falls where water gushes from a narrow gorge. We’ll stop for a picnic lunch at the base of a waterfall where you can listen for the distinctive calls of the whip-birds and lyrebirds. Soak up the atmosphere as you jump across stepping stones to cross creeks and stand in awe taking in magnificent views of the falls and mountain scenery. Instead of just admiring the views from a lookout you’ll descend by steps down the cliffs into the wilderness to experience the true beauty of this region. This Private tour is for 1-6 guests travelling in a private car. 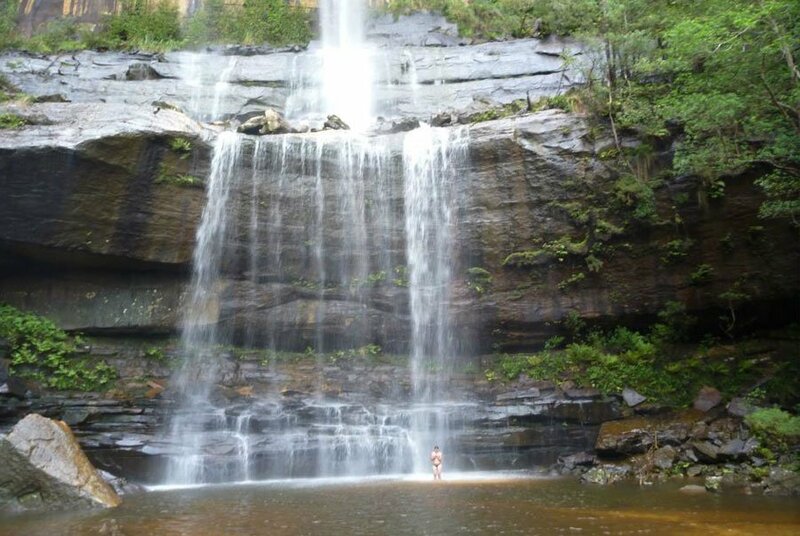 On this fantastic Valley of the Waterfalls hiking tour in the Blue Mountains you will be accompanied by a friendly and professional guide who is passionate about the region. The Walking Tour in the Valley of the Waterfalls includes a delicious lunch and refreshments. 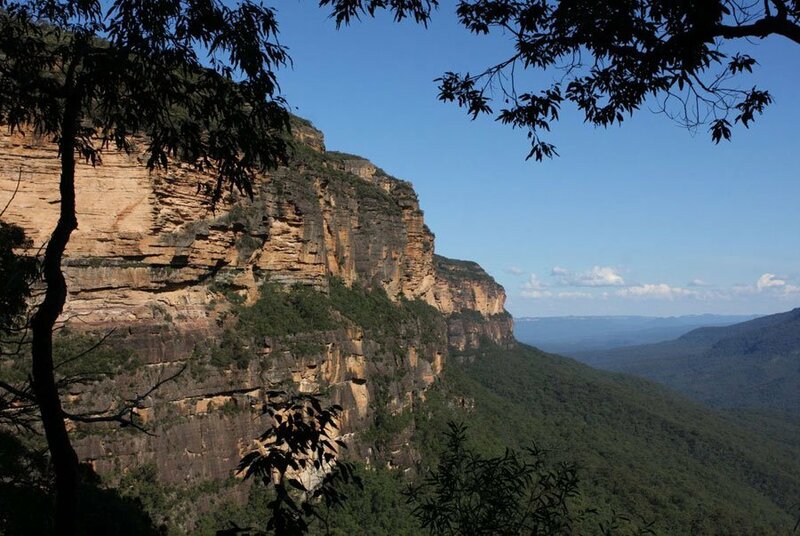 We are the only Blue Mountains Adventure company offering walking tours from Sydney or the Blue Mountains. 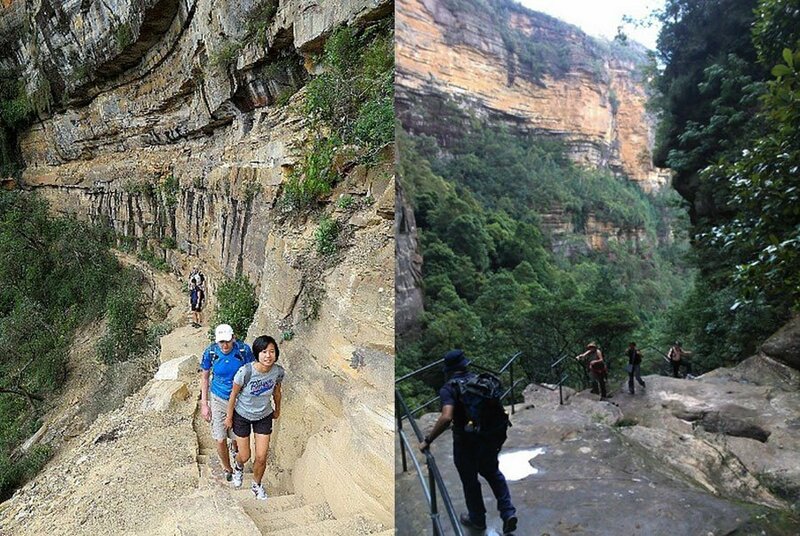 For those joining in Sydney you’ll receive bonus sightseeing in the Blue Mountains after your walk. What a day – what an adventure! 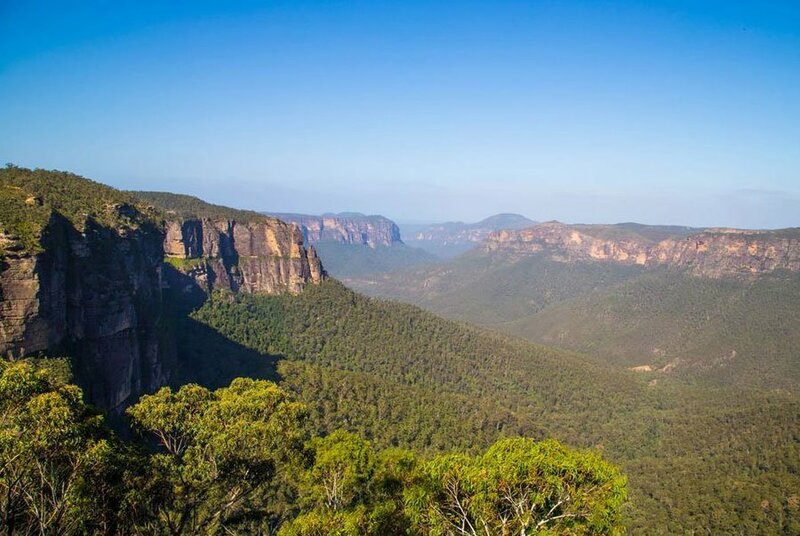 Life’s An Adventure acknowledge the Dharug, Gundungurra, Wanaruah, Wiradjuri, Darkinjung and Tharawal Nations as the traditional owners of the Greater Blue Mountains World Heritage Area. This video depicts the history and building of an incredible 100 year old walking track, that you will discover on our Valley of the Waterfalls hiking tour.A longer version of this video is available for purchase here. Note: This is an estimated finish time and will depend on the pace of the group on the day. Available daily subject to availability. Please note this tour is run in a private car. The back two seats have large windows but no doors, these clients will need to exit through the middle doors. Are you ready for this Valley of the Waterfalls Walk? Joining the tour in Sydney: We will pick you up from the foyer of any hotel in the Sydney CBD at 7.30am (see pickup zone map below) or Central Station (Meeting location: Western Exit Forecourt One –Country Trains area of the station under the Clock Tower upstairs). Life’s An Adventure are the only Blue Mountains Adventure Tour Operator offering walking and hiking tours to the Blue Mountains ex Sydney. Joining the tour in the Blue Mountains: We offer pickups from a Blue Mountains Hotel in Leura, Wentworth Falls or Katoomba only at 9.30am. Alternatively meet the tour at the Conservation Hut, Fletcher Street, Wentworth Falls. (see map below). Note: For those staying longer in the Blue Mountains one way transfers to Sydney are also available. Train: Catch the train to Wentworth Falls Railway Station it is a 2km walk to the meeting spot or we can organise a pick up for you from there. Visit www.131500.com.au for more details on train times and prices. Driving: Driving up the highway from Sydney, turn left at the second set of traffic lights into Falls Road. Continue along Falls Road for 1.25kms and turn right into Fletcher Street. Drive 750 metres to the end of Fletcher Street and you’ll find the Conservation Hut. (see map below). Hiking tour of 7- 10kms (4.3 – 6.2 miles) for those with good fitness levels some steep steps at end. Because of the various trails in this area we can tailor-make a hike to suit the overall groups fitness levels. Walks from 7-10kms available in this area ranging from Medium to Hard. We suggest bringing a backpack to carry all your personal items. To ensure you keep well hydrated, please bring at least 2 litres of drinking water (on extremely hot days double this amount). We also recommend sunscreen and a hat. You may like to bring a camera to capture the amazing scenery you’ll experience along the way and a towel and swimmers if you wish to take a dip in the falls. Please wear comfortable clothes, hat and enclosed walking shoes. Wear clothes to maintain a comfortable body temperature, we suggest wearing layers. Bring a light weight rain jacket in case of rain. Do not wearing jeans as you may overheat. High heeled shoes, thongs, sandals or skimpy shoes should not be worn. To save time on the day please print out and complete the following participant Indemnity form and bring with you on the day. It was the best tour I had in Australia, without hesitation! ... the place was just amazing and I had a chance to swim in the falls! At the end of the walk, I mentioned that I had never seen any kangoroos in Oz yet and they took us to a valley where we could spot kangaroos! ..certainly worth every $ I have paid! If I ever go back to Sydney, I would definitely try to do another walk. Thanks for making it so enjoyable!!! Please never ever change the way you are! My 2 girlfriends and I travelled for a little over 2 weeks in Australia and the Blue Mountains Valley of the Waterfalls hike by Life's an Adventure was one of our favourite experiences of the entire trip. Our guide was a phenomenal and enthusiastic guide and his love for the Blue Mountains really came out as he took us around. The sights are unbelievable and the beauty of the Blue Mountains is really spectacular. Our guide also picked us up in Sydney and then dropped us off at any place we wanted in the city on the way back, which was so nice and made it very easy for us to start our night out! 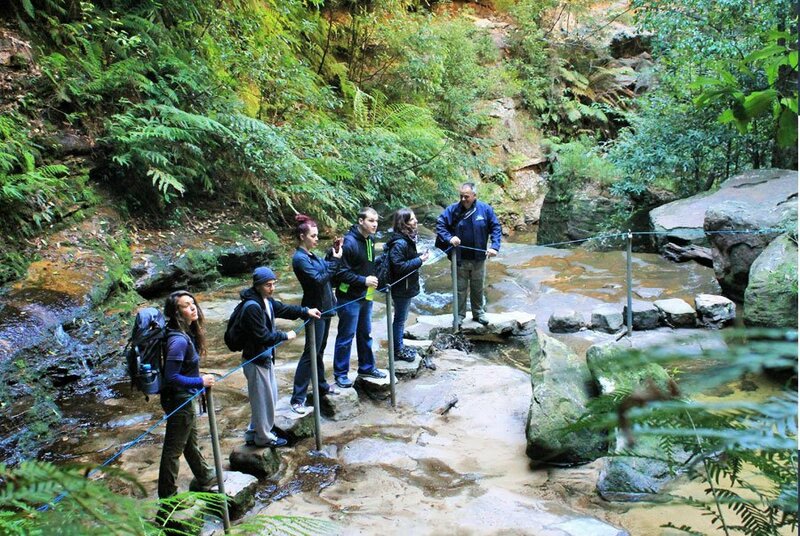 You must make this hike a part of your Sydney itinerary!